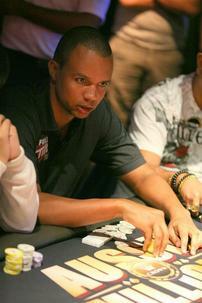 Phil Ivey was previously crippled in a hand after Samuel Golbuff doubled through him in dramatic fashion. Ivey opened the pot, Golbuff moved all in before the flop and Ivey called. Ivey was way ahead before the flop with 8 8 against Golbuff’s 6 2 . The board came 5 3 2 K 4 , giving Golbuff a straight on the river to win the pot and double up. Golbuff doubled to about 340,000 that hand while Ivey was left with just 11,000 in chips. A few hands later and Ivey moved all in for 7,000 from under the gun, Michal Gathy called from the button, Joep van den Bijgaart called from the small blind and Erik Cajelais called the big blind. All three players checked the side pot through the river on a board of A 8 6 9 7 . Ivey showed A 3 for top pair, but Cajelais turned over 7 6 for two pair to win the pot. 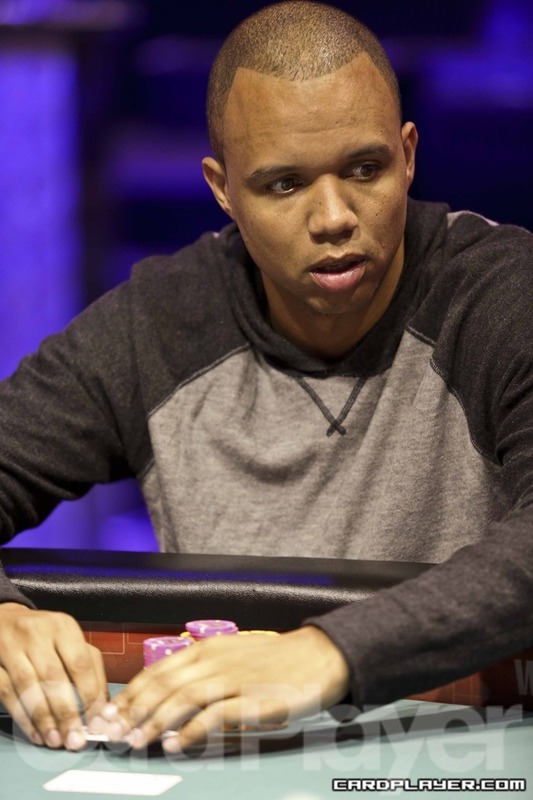 Phil Ivey was eliminated in 8th place ($21,699). The final table of Event no. 35 ($2,500 Mixed Hold’em) is now underway, and Card Player will be posting level-by-level updates with all of the action, current chip counts, and prize distributions. Day 2 ended with the elimination of of Jeremy Ausmus in 10th Place ($12,964), the final table is now set. Play will begin in Level 19 with No-Limit blinds of 4,000-8,000 with a 1,000 ante, and will continue until a winner is determined. Jun 18, '12 2012 43rd Annual World Series of Poker Event 32 - $10,000 H.O.R.S.E. Phil Ivey brought in the J for 20,000, John Monnette completed the bet to 50,000 with a 6, Ivey raised to 100,000, Monnette three-bet to 150,000 and Ivey called all in. Ivey paired jacks on fourth street and then sevens on fifth street and Monette made a nine-low on the river to win the pot. Phil Ivery was eliminated in 5th place ($99,739). 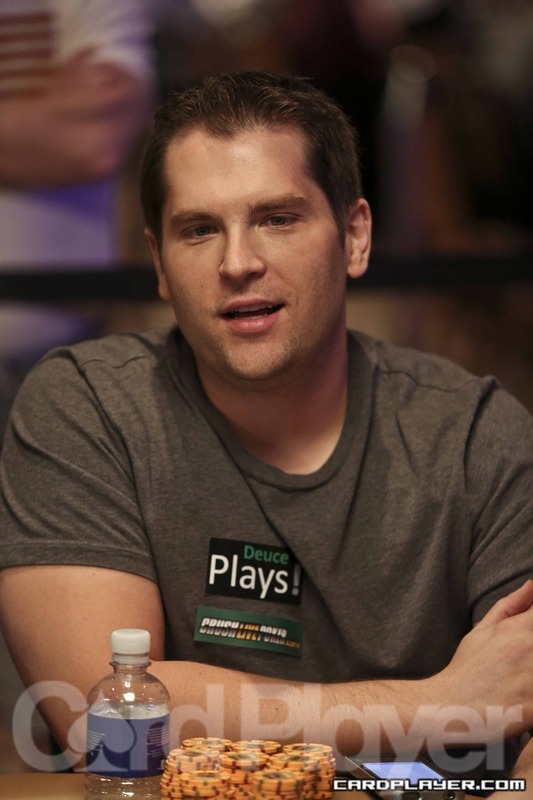 John Monnette opened the pot for a raise to 50,000 from under the gun and Phil Hellmuth called. The flop came K K 2 , Hellmuth checked, Monnette bet 50,000, Hellmuth raised all in for a total of 65,000 and Monnette called. Monnette was ahead when the money went in with two pair. 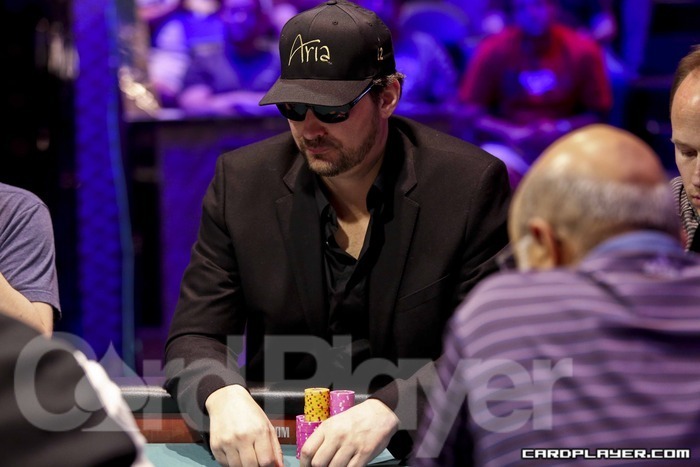 The turn and river were the 9 and the 8 , offering no help to Phil Hellmuth who was eliminated in 4th place ($134,056). The final table of Event no. 32 ($10,000 H.O.R.S.E) is now underway, and Card Player will be posting level-by-level updates with all of the action, current chip counts, and prize distributions. Day 3 began with 15 players spread out over 2 tables, and with the elimination of Mori Eskandani in 9th Place ($35,923), the final table is now set. Play will begin in Level 22 with betting limits of 25,000-50,000, and will continue until a winner is determined. Phil Ivey entered the level on the short stack but scored an early double up through Joe Cassidy with a full house on the river. Ivey was then chopped down to his last bet before mounting a comeback by doubling through Scotty Nguyen with another rivered full house. That hand put Nguyen on just about 1 million and Ivey around 500,000. Ivey shortly doubled through Nguyen again, putting himself in second place with around 850,000. Nguyen didn’t spend much time on the short stack and quickly doubled back through Ivey after catching a backdoor flush to put Ivey on about 345,000 (6 bbs). Ivey wouldn’t come back this time and was eliminated by chipleader Joe Cassidy when he raised the small blind to 100,000 and Phil Ivey called from the big blind. The flop came Q J 8 , Cassidy bet 50,000, Ivey reraised all in for 95,000 and Cassidy called. Ivey was ahead on the flop when the money went in with two pair against Cassidy’s over pair and open-ended straight draw. The turn and river were the 5 and the J , pairing the board on the river to counterfeit Ivey’s two pair. Phil Ivey was eliminated in 3rd place ($136,046) while Joe Cassidy took a big chip lead going into heads-up play with roughly 3 million to Scotty Nguyen’s 850,000. Play was suspended for the night at the conclusion of Level 28 and the final two players will return tomorrow at approximately 2:00pm local time to resume play. Phil Ivey entered the last level with the chip lead, but quickly lost that to Joe Cassidy after Cassidy scooped a big pot with a pair of kings on a double paired board. From there Ivey started to slip even further down the leader board and eventually found himself on the short stack after losing a big showdown with top two pair against Cassidy’s top set. That hand put Ivey down to just 300,000 (7 bbs). Ivey managed to chip up a little bit towards the end of the level but was quickly knocked back down to the short stack after being quartered by Scotty Nguyen in a key pot right before the blind increase. Ivey was all in and looking to be quartered again by Scotty Nguyen at the end of the level, but went runner-runner straight to make a wheel and chop the pot with Nguyen to stay alive. Ivey raised the button, Nguyen reraised the big blind and Ivey called. The flop came 9 4 3 , Nguyen bet 40,000, Ivey raised all in and Ngueyn called. Ivey was behind when the money went in with no pair and the nut low draw against Nguyen’s middle pair and the same nut low draw. The turn and river were the 3 and the 5 , giving both players a wheel to chop the pot. Mike Matusow was all in for 15,000 from early position, Meng La raised to 40,000 from late position, Phil Ivey called from the small blind and Scotty Nguyen called the big blind. The flop came K 8 7 , Ivey checked, Nguyen bet 20,000, La and Ivey called. The turn was the 3 , Ivey bet 40,000, Nguyen raised to 80,000, La folded, Ivey three-bet to 120,000 and Nguyen called. The river was the 4 , Ivey bet 40,000 and Nguyen called. Ngueyn won the high hand with two pair and Ivey took the low pot with the nut A-2 low. 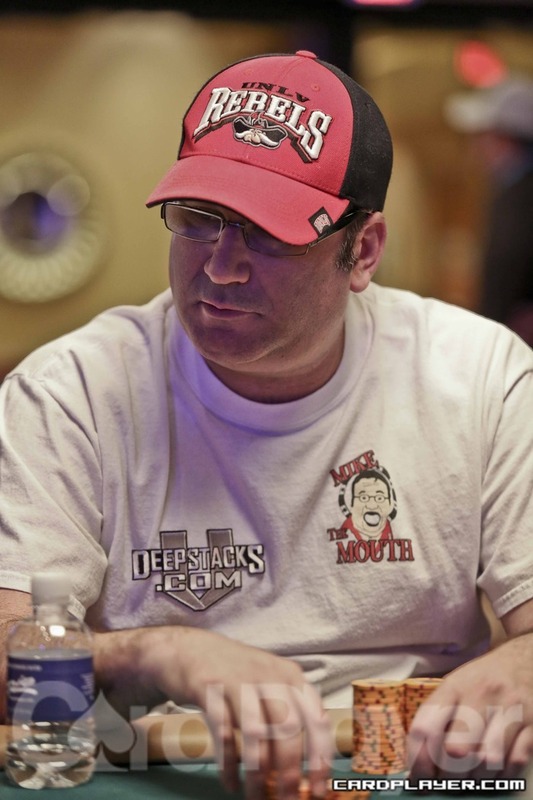 Matusow was only able to make a pair of eights and an A-6 low by the river and was eliminated in 8th place ($34,748). Phil Ivey raised to 40,000 from the button and Bart Hanson called all in from the big blind. Hanson was all in before the flop for his tournament life against Ivey’s pair of kings and he failed to improve by the river and was eliminated in 7th place ($45,084). Ivey padded his chip lead after that hand with just over 1 million. The final table of Event no. 24 ($5,000 Limit Omaha Hi/Low Split 8/OB) is now underway, and Card Player will be posting level-by-level updates with all of the action, current chip counts, and prize distributions. Day 3 began with 27 players spread out over 3 tables, and with the elimination of Andreas Krause in 10th Place ($21,020), the final table is now set. Play will begin in Level 22 with blinds of 6,000-12,000 with limits of 12,000-24,000, and will continue until a winner is determined. Ali Eslami was left on the short stack after Andy Frankenberger doubled through him this level with A A against A K . Frankenbeger won the pre-flop showdown and took the chip lead that hand with about 2.8 million, putting Eslami on the short stack with just 2.5 big blinds. 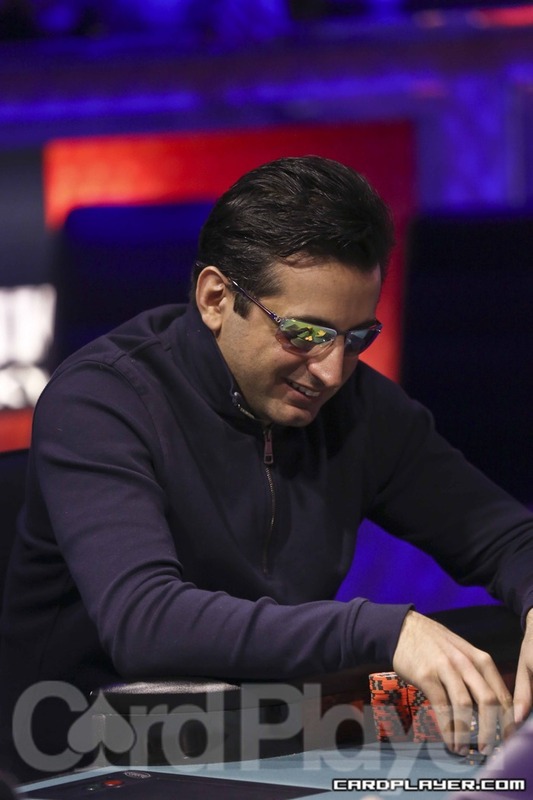 On his final hand, Eslami got it all in before the flop with K Q against phil Ivey’s 8 8 . 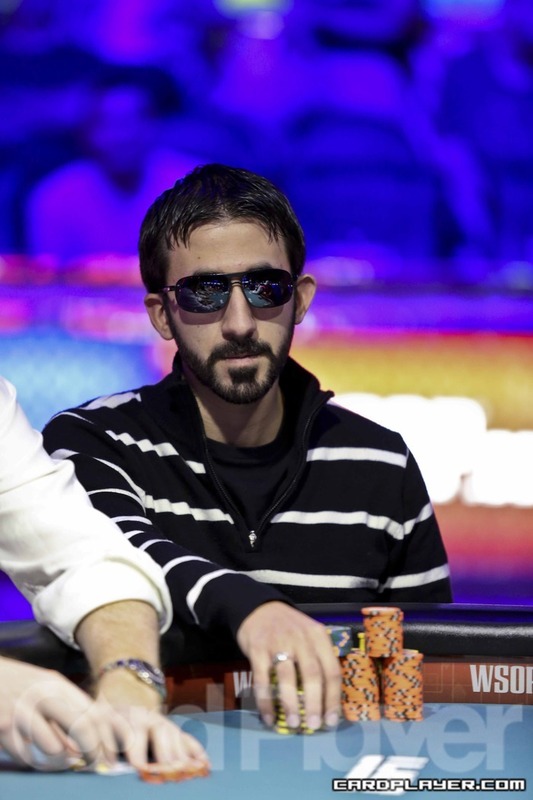 The board came A 9 4 6 A , offering no help to Ali Eslami who was eliminated in 3rd place ($199,623). That hand put Ivey back out in front with the chip lead going into heads-up play. With the elimination of Ali Eslami in 3rd place ($199,623), Phil Ivey took the chip lead going into heads-up play with about 2.6 million to Frankenberger’s 2.55 million. Alexander Venovski entered the level as the short stack and managed to double through Phil Ivey to stay alive, but Ivey quickly got all of the chips back a few hands later. 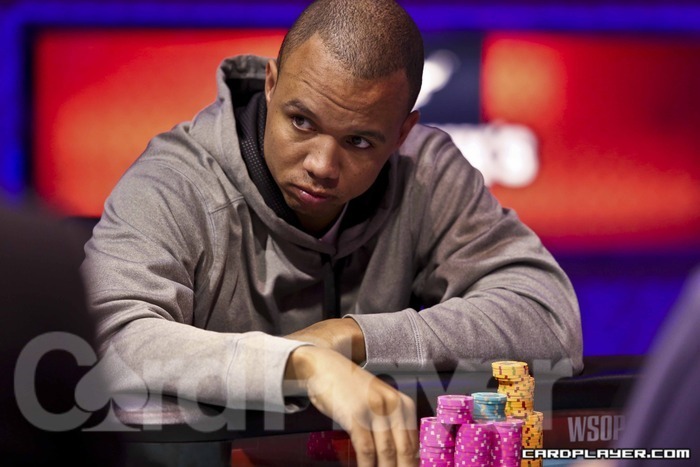 Phil Ivey opened the pot for 160,000 from under the gun, Alexander Venovski reraised to 440,000 from the small blind, Ivey shoved and Venovski called all in for around 700,000. Venovski was all in for his tournament life with A Q against Ivey’s 7 7 . 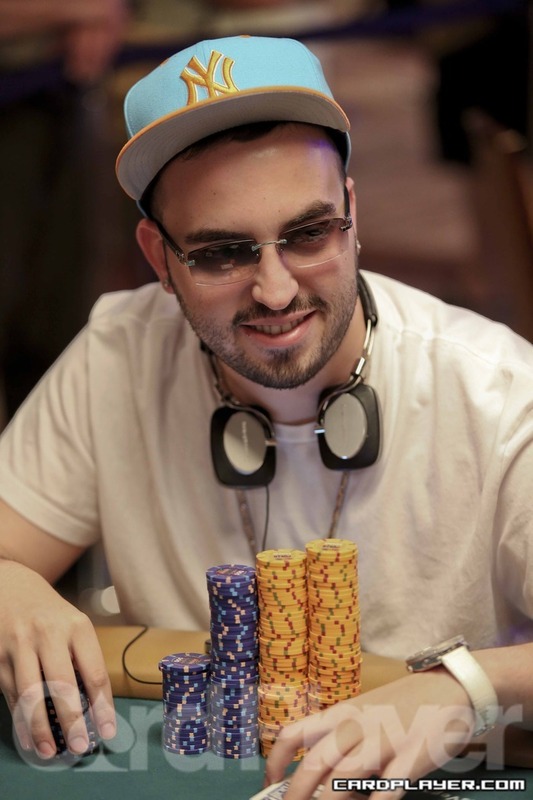 The board came J 6 2 2 3 , offering no help to Alexander Venovski who was eliminated in 4th place ($147,345). 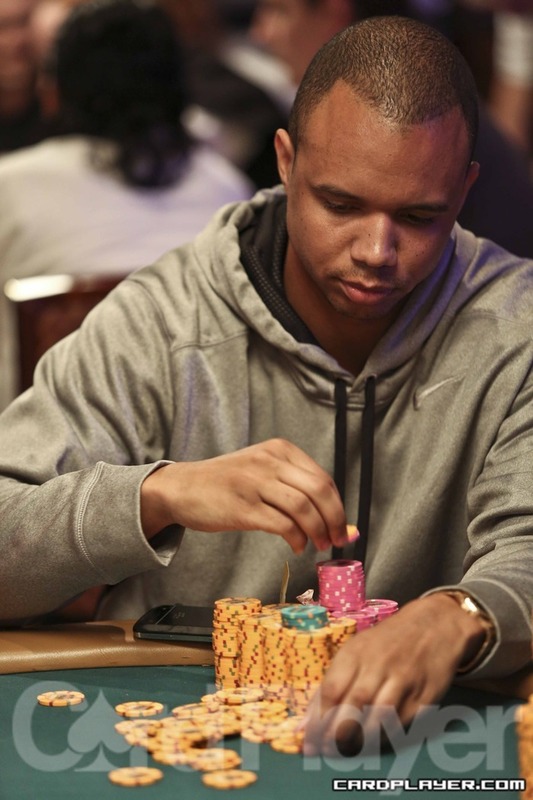 Phil Ivey took a huge chip lead going into three-handed play with about 2.6 million. Manuel Bevand was crippled and left with just 1 big blind after losing a huge showdown with pocket jacks against Andy Frankenberger’s A-K suited. Frankenberger got it all in before the flop for about 730,000 and Bevand called with just about 1 big blind behind. Frankenberger turned an ace to win the pot and double up, leaving Bevand down to his last 45,000 or so as he got it all in the next hand against Phi Ivey. Bevand was all in for his tournament life with 6 4 against Ivey’s K 9 . The board came Q 8 5 5 A , offering no help to Manuel Bevand who was eliminated in 5th place ($110,731). The final table of Event no. 17 ($10,000 Pot-Limit Hold’em) is now underway, and Card Player will be posting level-by-level updates with all of the action, current chip counts, and prize distributions. Day 3 began with 18 players spread out over two tables, and with the elimination of Ryan Julius in 10th Place ($34,139), the official 9-handed final table is now set. Play will begin in Level 24 with blinds of 15,000-30,000, and will continue until a winner is determined. Phil Ivey brought in the 2 for 3,000, Bryn Kenney completed the bet to 12,000 with the A , John Monnette raised to 24,000 with the 7 , Ivey folded and Kenney called. Kenney bet 12,000 on fourth street, Monnette raised to 24,000 and Kenney called. Kenney got it all in on fifth street and was behind with a pair of eights against Monnette’s trip sevens. Monnette was ahead on fifth street when the money went in with rolled up sevens against Kenney’s wired eights. Kenney failed to improve by the river and was eliminated in 8th place ($27,012). Adam Friedman brought in the 2 for 3,000, Phil Ivey completed the bet to 12,000 with the A , John Monnette called with the Q , Brunson called with the 3 , and Friedman folded. Brunson bet 12,000 on fourth street, Ivey called and Monnette folded. Ivey checked fifth street, Brunson bet 24,000, Ivey raised all in and Brunson called the check-raise. Ivey was behind on fifth street when the money went in with a pair of sevens against Brunson’s pair of eights and both a flush and straight draw. Brunson made a straight on the river to eliminate Phil Ivey in 7th Place ($34,595). The final table of Event no. 15 ($5,000 Seven-Card Stud Hi/Low 8/OB) is now underway, and Card Player will be posting level-by-level updates with all of the action, current chip counts, and prize distributions. Day 3 began with 19 players, and with the elimination of Brian Twete in 9th Place ($21,392), the official 8-handed final table is now set. Play will begin in Level 21 with limits of 10,000-20,000 with a 2,000 ante, and will continue until a winner is determined. We have no idea what happened, but it happened on the river. All of a sudden, Phil Ivey stood up and shook Dan Cates hand. The two were brought back to their seats for a quick interview, but the audio was too low to listen in. Cates will now battle against the winner of the match between John Racener and Chris Moneymaker. Former WPT L.A. 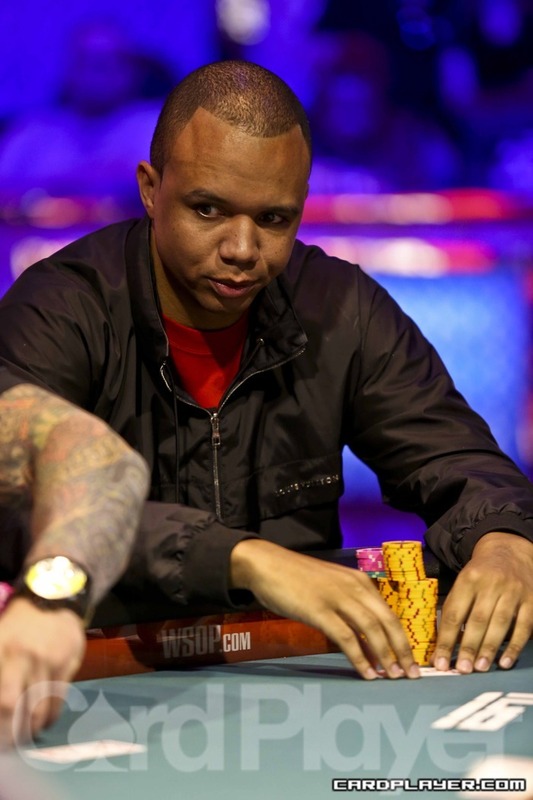 Poker Classic main event winner Phil Ivey won’t be repeating as champion. We didn’t catch the details, but Ivey was short stacked before making his exit from the tournament room. Ivey was eliminated on the hand and Trickett has really taken control of things here at the super high roller event. Ivey doubled up on the hand and he now holds 450,000. A few tables from Day 1A have been flown upstairs from the poker room due to the large turnout today. There are three tables going adjacent to the $100,000 Challenge in Studio 3. Among the players seated upstairs are former Aussie Millions champion Stewart Scott and Joe Cassidy. Full Tilt pros Phil Ivey and Tom Dwan, who have increased the star power of the Day 1A field considerably. Ivey made a big hand shortly after he took his seat in the field in a pot against Terrance Chan. Ivey held pocket threes on a 7-7-A-3-K and he used the full house to grow his stack to 30,000. Dan Smith is still holding strong with 39,000, but he has been surpassed by a few players on the leader board, including Barny Boatman, who holds 65,000. 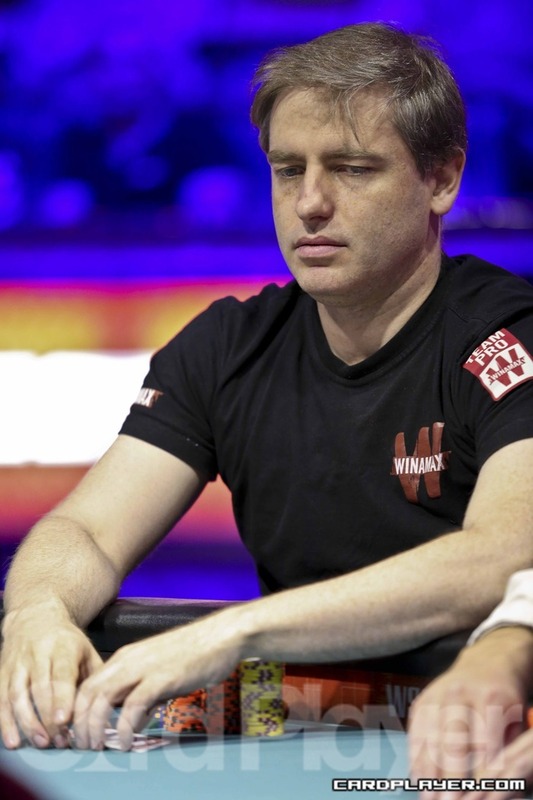 Some other players who have made an early exit on Day 1A include Benny Spindler and Raymond Rahme. This is the hand that many rail birds have been waiting for all day in the Crown Poker Room. 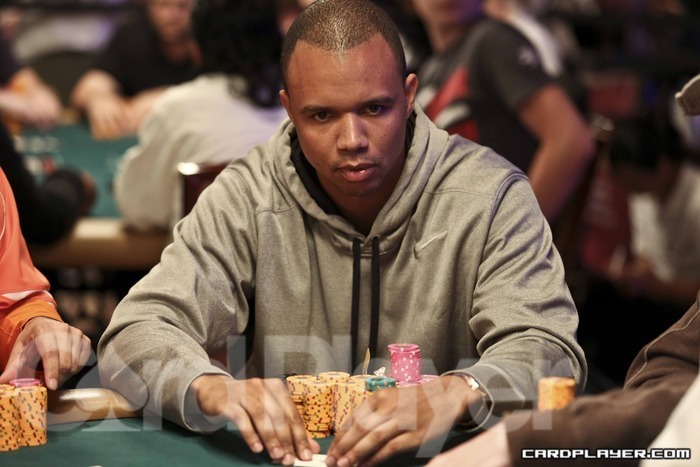 Phil Ivey and Patrik Antonius tangled in a massive pot that left one of them crippled and the other well on his way to a deep run in this event. Patrik Antonius raised to 8,000 from early position and Phil Ivey made the call from the big blind. The flop fell Q 9 7 and Ivey checked. Antonius bet 15,000 and Ivey raised to 50,000. Antonius went into the tank for a few minutes, and then shoved his entire stack into the pot. The turn gave Antonius the straight and he won the hand to drive his stack north of 400,000. Ivey was left in the danger zone with 13,000, and he busted a short time later when his opponent sucked out and made a flush after Ivey shoved all in preflop. Three of the most successful players in poker are seated together at table 28 on day 2. 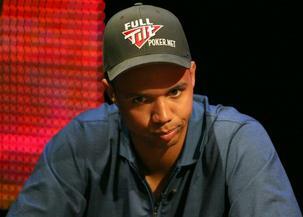 They include a trio of Team Full Tilt pros, Phil Ivey, Patrik Antonius, and Howard Lederer. We will keep you posted on the fireworks that will surely fly at this table throughout the day.